Browse: Home / 2011 / December / 14 / Old Croton Aqueduct is the Metrotrails Holiday New York City Hike — and it is this Sunday!!!!!!!! Aqueduct Trail Sunday Holiday New York City Hike!!! 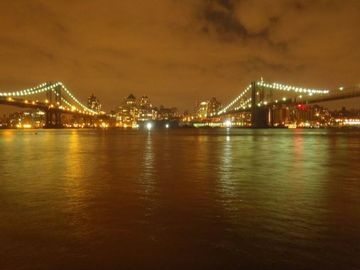 It’s that time of year again for the annual Metrotrails Holiday New York City Hike! Every year, we cover an interesting walking route through the city including trails, historic places, parks, and much more. The theme for this year’s trip is the Old Croton Aqueduct. This engineering marvel served as New York’s drinking water source starting in the 1840s, but by the mid 20th century it had become obsolete and was abandoned and in some places demolished. Much of the northern sections are extant but the Manhattan sections will require looking for clues of it’s existence.Since we will be in New York City, we are never far from public transportation, and so you may do whatever mileage you are most comfortable with. It is likely that the full hike will come out to twenty miles. For those coming from west of the city, I will possibly be taking the 8:42 train in from Summit to Penn Station. Otherwise I might go to Secaucus. 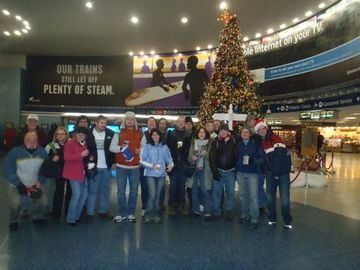 Either way, I will be arriving shortly after 9:30 at penn Station.If you need further info on it double check www.njtransit.com which will have all of the timetables for all of the stations on Sunday.We will be meeting at the giant Christmas tree Penn Station erects ever year (pictured) at 9:45. We will wait a bit for anyone who might be behind, and then get on the subway north to Van Cortland Park in the Bronx. We’ll get on Old Putnam Trail to the north end of the golf course, and then follow the Old Croton Aqueduct from the north end of Van Cortland south to Manhattan. Much of the route is now a trail until we reach Manhattan.The southern terminus of the Aqueduct was the present location of New York Public Library. I hope to finish out the night by checking out the World Trade Center’s construction, and many from the group end up visiting McSorley’s Tavern. Since there is plenty of public transportation along the way, it will be easy for anyone to cut out early should they not wish to complete the hike. Joining in late is more difficult, at least for the first half. When you meet us at the tree, make sure you are ready to go. I don’t want to be waiting for everyone to use the restrooms and such. Try to arrive early so you’re not holding up the entire group. This year should be a bit easier than last year to stay together since the beginning of the hike is more traditional trails rather than city walking. Since it is likely there will be well over twenty participants, you should stay with the group or risk getting lost. It is nearly impossible for me to keep track of so many hikers, and if you decided to break away to visit a store or something without telling me, you may lose us for the rest of the day. Let’s try to stick together and be safe. If you’d like more information on this hike, feel free to contact me at sneezehorse@hotmail.com. Hope to see lots of you on Sunday morning!! !